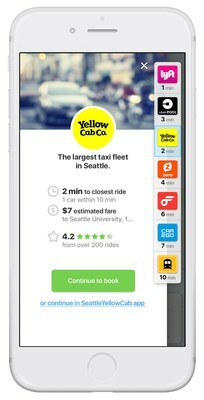 MENLO PARK, Calif., Sept. 10, 2018 /PRNewswire/ -- Hyundai CRADLE, Hyundai Motor Company's corporate venturing and open innovation business, invests in Migo, a leading privately held Mobility-as-a-Service (MaaS) company based in Seattle that has developed an on-demand ride discovery application. The investment expands Hyundai's existing portfolio of mobility and technology partners to further the development of innovations that will enhance the customer transportation experience. Hyundai CRADLE, Hyundai Motor Company’s corporate venturing and open innovation business, invests in Migo, a leading privately held Mobility-as-a-Service (MaaS) company based in Seattle that has developed an on-demand ride discovery application. 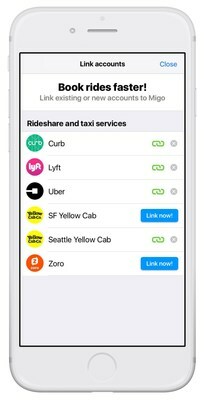 Migo is a free app available for download in the Apple App store that allows customers to discover and hail multiple modes of personal transportation without having to jump from one app to another. Migo includes ride-share, car-share, bike-share, public transportation and more on a single platform to allow consumers to easily discover and hail the best option to help them get from A to B. The Migo app provides real-time pricing and wait times. 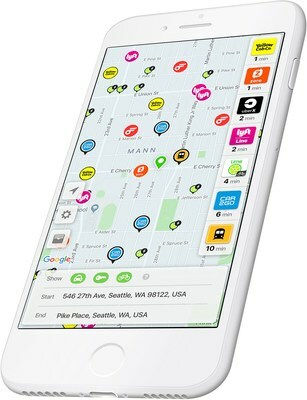 Migo for iPhone is available in the U.S. and Canada and has been used in more than 75 cities including Seattle, Los Angeles, Chicago, New York, Toronto, Miami, Denver, Atlanta, Boston and more. "As the mobility market continues to grow and evolve, it is important to have a deep understanding of customer's changing transportation needs," said John Suh, vice president of Hyundai CRADLE. "Migo is offering a unique, win-win service to consumers and mobility providers. With Migo's expertise in the MaaS market, they are arming their partners, including Hyundai with invaluable information that will help the company explore future mobility models." Earlier this year, strategic investments were made by Hyundai in other markets – Grab in Southeast Asia and Revv in India. Hyundai is focused on bolstering efforts around mobility freedom and evaluating all options that will expand its foothold in the mobility market. From technologies such as autonomous driving and artificial intelligence, to ride-sharing and things in between, Hyundai CRADLE is building a network of experts that will aid in the development of innovative mobility services. "Hyundai and Migo share a common vision of the future of Mobility as a Service, and with the strategic investment from Hyundai Motor we believe that we can achieve that vision for customers and our partners globally," said Jeff Warren, founder and CEO of Migo. "For Migo it's about helping people discover the best way to get from A to B in the moment. We are very gratified that Hyundai Motor supports our mission and through Hyundai CRADLE has added us as a partner in helping deliver mobility services that can transform people's lives." Hyundai CRADLE is the Center for Robotic-augmented Design in Living Experiences. 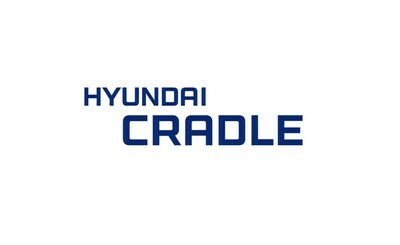 CRADLE strengthens Hyundai Motor Group's core automotive business and expands it into new and adjacent markets with the goal of enhancing transportation on and off the road. The company also plans to expand the Hyundai CRADLE innovation concept globally. Established in 1967, Hyundai Motor Company is committed to becoming a lifetime partner in automobiles and beyond. The company leads the Hyundai Motor Group, an innovative business structure capable of circulating resources from molten iron to finished cars. Hyundai Motor has eight manufacturing bases and seven design and technical centers worldwide and in 2017 sold about 4.5 million vehicles globally. With more than 110,000 employees worldwide, Hyundai Motor continues to enhance its product line-up with localized models and strives to strengthen its leadership in clean technology, starting with the world's first mass-produced fuel cell electric vehicle and IONIQ, the world's first model with three electrified powertrains in a single body type.